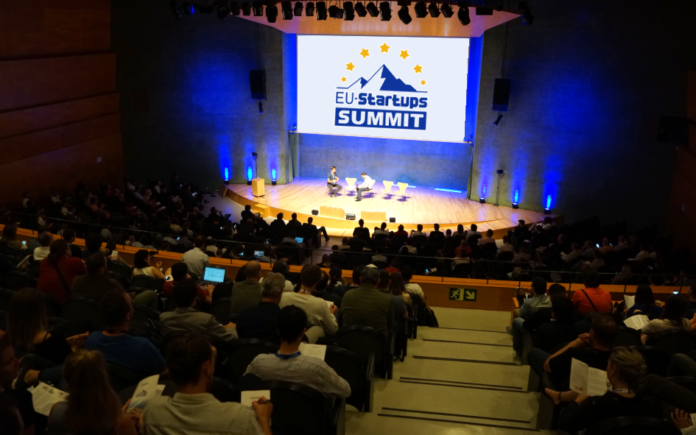 On May 2-3 we’ll be hosting this year’s EU-Startups Summit at the Convention Centre of the Hesperia Tower Hotel in Barcelona. 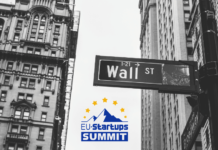 Along with fireside chats with inspiring founders, interesting speeches, and networking opportunities, we’ll have an exciting pitch competition with 15 promising startups from across Europe! 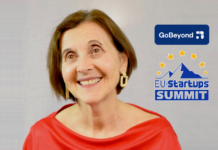 The winning startup team of this year’s Pitch Competition will receive a prize package worth €75,000 and gets prominently featured by EU-Startups and other publications. 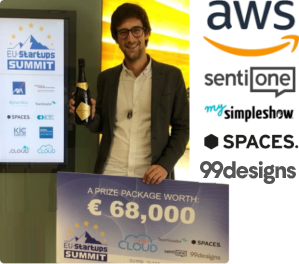 The prize package includes €50,000 in AWS cloud hosting credits (while each one of the 15 finalists will receive also $5,000 in AWS credits plus $5,000 in premium support), €9,000 in credits for an enterprise package of the social media monitoring tool Senti.One, €8,500 in credits for the explainer video creation services from mysimpleshow, €2,000 in credits for the design platform 99designs, a Spaces coworking membership for 2 people & 1 year (value: €3,600), and €1,900 in credits for premium job posts on the EU-Startups Job Board. Tradler is an employee engagement software that recognises people for the work and contributions they do. 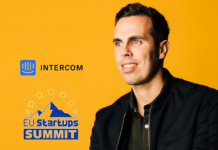 The Startupbootcamp alumni is based in Barcelona, and its software increases engagement in the workplace by creating an employee loyalty system that provides the employee with the relevant incentive at the right time. Companies just put in the actions and KPIs they want to reward, and Tradler does the rest. SplittyPay is a platform that allows people to easily split payments, thereby cutting down on any confusion or arguments arising from group reservations or purchases. Its tool also aims to reduce shopping cart abandonment rates by giving customers the option to share the total amount in equal or customised parts, and pay with more than one credit or debit card. 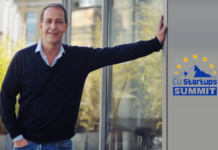 Founded in 2018 in Italy, SplittyPay recently has already raised €360k in equity crowdfunding. Uhura is an AI platform that reads and understands contracts and agreements just as humans do. Uhura helps financial institutions significantly speed up review and decision-making processes using AI that streamlines the process of analysing and drafting contracts. Based in London, the startup was part of the 2018 Barclays Accelerator powered by Techstars. mietwise offers a digital solution for landlords and tenants to deal with the often time-consuming and manual process of rental deposits. Based in Munich, its simple platform eliminates all paperwork, and allows landlords to handle their rental deposits in less than five minutes. mietwise also provides an effective API for existing property management platforms. Percept Imagery is a UK-based startup which offers a cloud-based immersive platform called Foresight, which helps the architecture and construction industries to win more contracts, reduce errors, and collaborate in VR on proposed designs. Foresight instantly converts any architectural design into a collaborative VR experience, providing accurate spatial projections and making the design and approval process sustainable by reducing costs and resources. Farmdok is a digital tool for planning and record keeping in agriculture. Its mobile app offers several features including a farm management system, a field diary, and other tools to help farmers keep records, meet legal documentation requirements, reduce costs, and make better decisions. Based in Austria, the startup was awarded with the Agritechnica Innovation Award in 2017. Inga has created a new type of recruitment software that provides companies with leads through social networks and chatbots. Through targeted marketing, the Frankfurt-based startup Inga makes professionals aware of attractive job opportunities through social networks, and makes recruitment more specific, faster, and more effective. Antifragile helps businesses integrate risk management across the supply chain by providing real-time damage monitoring. The Romanian startup offers multiple types of monitoring devices that give shippers the data they need at a price they can afford, so they can stop damage caused by impacts, vibrations, or tilts – saving countless dollars in repairs, replacement, and reshipping, not to mention such indirect costs as troubleshooting and down time. Polaroo allows users to centralise their recurring expenses into a unified monthly payment to save time, money and headaches. 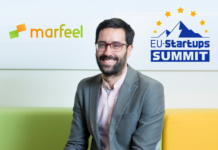 The Barcelona-based startup works with many providers to find the best offers adapted to customer needs, and if they accept the offer, they will just pay one flat fee each month, and Polaroo will pay bills on their behalf. Polaroo’s business model relies on commissions from providers, as well as monthly commissions based on customers’ consumption. Neuroflux combines, visualises, and analyses wastewater pumping station data, reducing the need for manual work. Based in Helsinki, Neuroflux uses machine learning to detect pipe blockages and leaks immediately based on measurements from pumping stations and flow meters, without any human input or added hardware, with real time alarms and trend analysis to optimise the operations of water networks. Cohosting is a hospitality SaaS solution for accommodation to offer extra services for AirBnB vacation rental owners. Cohosting automates the reservation process for services such as luggage storage, transfer, fridge stocking, tours, car rentals or even babysitters. Based in Seville, the startup charges Airbnb managing companies a monthly fee for its services. TeiaCare is the first virtual assistant for caregivers, capable of generating multiple smart alerts, reminders, and reports. The startup provides Contact-Free Continuous Monitoring (CFCM) for post-acute hospital patients and nursing home residents. Based in Milan, TeiaCare leverages deep learning analytics to detect early signs of health deterioration, thus enabling pre-emptive care. Deliverart produces cloud-based software for small and medium-sized food companies. Based in Rome, the startup is an aggregator that helps food businesses to collect all their home delivery orders and manage the entire food delivery cycle, from receiving the order to tracking the delivery, while providing automated tools and statistics to give businesses an overview of their performance. Flowlity is a logistics startup that helps retailers and manufacturers to avoid understocing and overstocking using AI and supplier data. Based in Paris, the startup gives recommendations to businesses about how much and when to order from their suppliers. In 2017, retailers lost $1.75 trillion due to a combination of overstocks and understocking, because planners are often still working in silos with suppliers, while Flowlity’s SaaS platform solves this problem by providing real-time stock optimization and replenishment using machine learning. Ziticity is a logistics startup that dubs itself an “Uber for things”, offering last-mile on-demand delivery. On its platform anyone can sign up to be a “Zitter” and earn a little extra money in their free time delivering packages, documents, and other items from pick-up points to customers throughout Vilnius and now in Tallinn, with an average delivery time of 42 minutes. Founded in 2017, the startup is already working with major delivery services and planning collaborations with supermarkets in the future, as well as expansions to more cities. The Jury: The selected teams will get a lot of valuable feedback from a jury of well-known venture capital investors. Our jury includes Ravi Kurani (earlybird), Marie-Helene Ametsreiter (Speedinvest), Stephan Glänzer (formerly Passion Capital), and Stéphanie Hospital (OneRagtime). 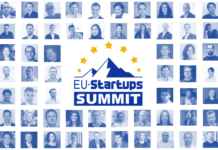 Interested to join us at this year’s EU-Startups Summit? Secure your ticket now! Aside of the 15 startups listed above, we’ll have hundreds of other promising startup founders and many high profile investors at the event. Tickets can be purchased here!